What do you get when you put big vocal talent into a small package? Teagan Ward of course! 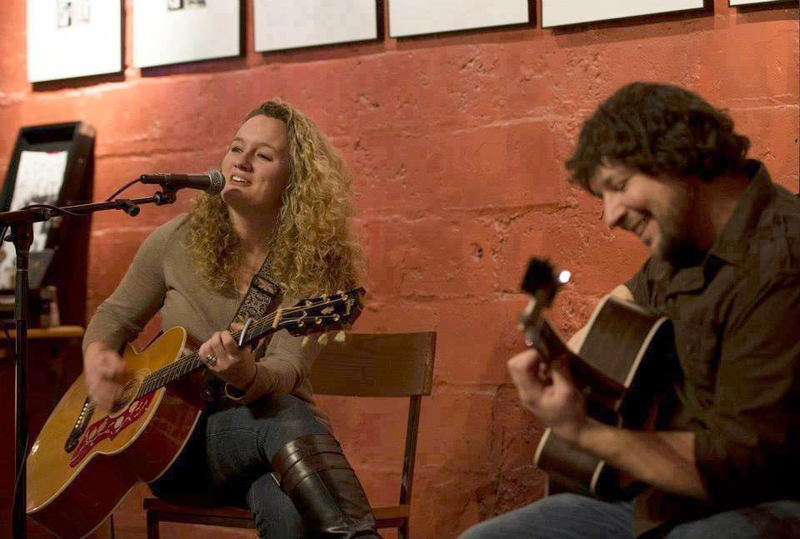 Come take a break from the work day and enjoy music performed by Teagan & Lou at Hochstein at High Falls. The High Falls Business Association has once again teamed up with the Hochstein School of Music & Dance and WXXI to present Hochstein at High Falls, a noontime summer concert series. The series includes ten outdoor concerts Thursday afternoons at 12:15pm during June, July and August. Weather permitting, they will be held in the Granite Mills Park near the Pont de Rennes Bridge and will feature a diverse mix of musical artists and instructors. Attendees are encouraged to bring their own seating and lunch, or pick up a great lunch at area restaurants (like La Luna and Fina's Cafe). Each performance runs approximately 45 minutes. Hochstein at High Falls is on Facebook. Visit: facebook.com/hochsteinhighfalls. Bluesy singer/songwriter Teagan Ward doesn’t just sing, she roars. And don’t be fooled by her small stature; this lady can match and exceed the vocal talents of legends, like Janis Joplin and Aretha Franklin, with little effort. Whether you hear her perform solo or as the front woman for Rochester’s Teagan and the Tweeds, she always has the perfect recipe, sweet and soulful, that will leave you satisfied. Joining her on guitar is Lou Giglio, whose deceptively unassuming demeanor masks one heck of a player, ripping into solos like he’s got nothing to prove.